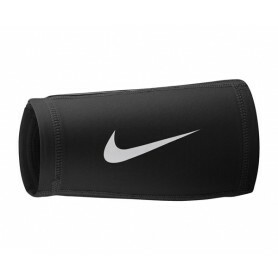 Flag football jerseys and flag football belts are essential items for any flag football team. 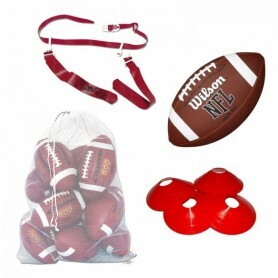 Our flag football items also include flag football headgear and accessories in a wide range of name brands to meet every flag football player's needs. 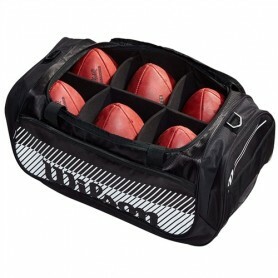 Keep the players, coaches and fans of both teams informed using this Triple Threat Football Down Box and Scoreboard. 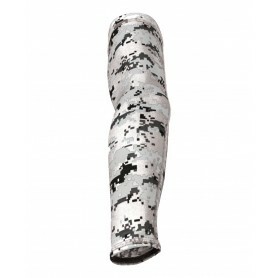 Designed to withstand inclement weather conditions that might pose a challenge to score keeping during the big game, the durable PVC construction allows use all season long, rain or shine. 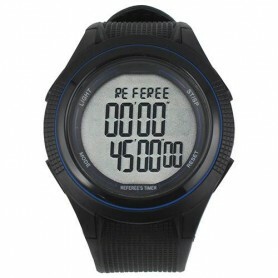 Both the home and away sections of the bleachers can easily reference the score and current down thanks to the tall, double-sided design that supports clear readability. 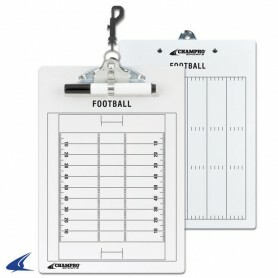 Coaches, players, fans and officials can all keep track of the game's progress with this Stackable Football Sideline Marker Set. 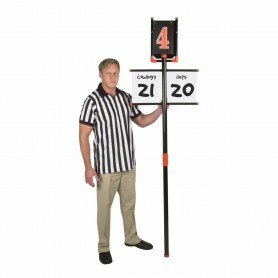 The three-sided markers feature silk-screened characters on each side and are meant to be placed down the sidelines of the gridiron to designate where the goal lines and important yard lines are. Even if the wind picks up, the markers stay strong, thanks to the vinyl construction and pyramid shape. The bright orange color draws the eye, so fans know when to cheer when a player enters the end zone and officials can more easily tell if someone scored a touchdown. 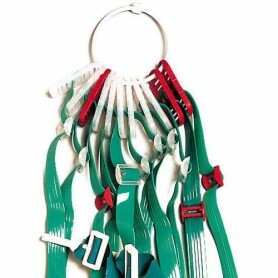 Available in five piece sets to accommodate different field requirements. 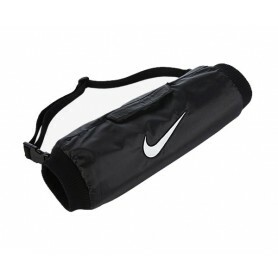 This Flag-A-Tag saver pack includes all the gear you need to get started. Save yourself some money by purchasing this pack. 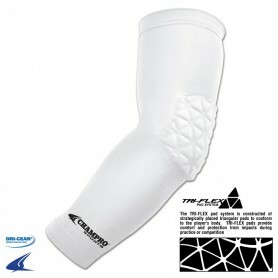 Patented Sonic release brings a new dimension to the flag football game. 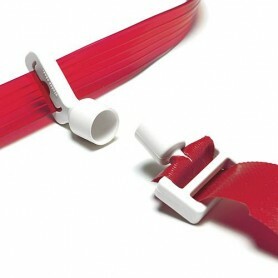 The sonic flag belts makes a loud pop when pulled. Flags come off belt when grabbed. 2 flags per belt. 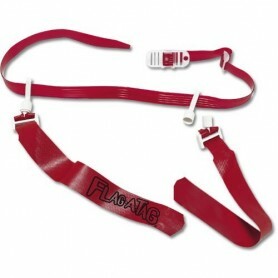 Belt adjusts up to 42". 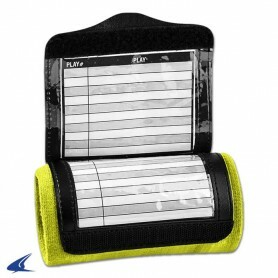 Engage your students or athletes in a game of flag football with help from the FLAG-A-TAG® Sonic Conversion Package. 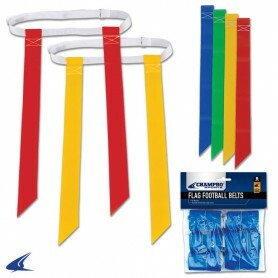 Connect the sockets, stems and flags onto the players' FLAG-A-TAG® flag belts (not included) and have them start making plays. 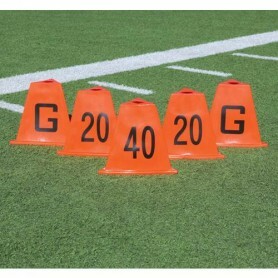 By adding extra flags, the defense will have an easier time stopping the offensive ball handler. From pick-up games to classroom use, these supplementary flags add excitement to your flag football matchups. 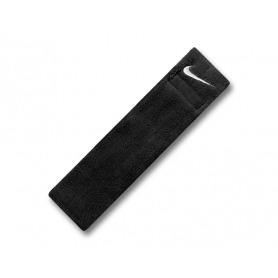 Product Use/Compatibility: Flag football Designed for use with Flag A Tag flag belts. A free PDF document from Head Coach Gus Bradley, Jacksonville Jaguars explaining the rules of flag football.